A blog about tasty home brew and beer. A few weeks ago I got some old home brew equipment from my dad. Then I cleaned it. Now it’s time to brew with it. I realised the first brew had to use some of the ingredients from the find. This means trying to sanitising with Sodium metabisulfite. That’s going to be interesting as I’ve never used the stuff before. Nutrient salts I already use and will be straight forward. Using a Campden tablet looks like that should be easy. I can see that tannic acid will be helpful in stabilising the beer and clearing it up at the end. But, there’s a fair bit of info saying I need to filter afterward which I’m not set up for. Will have to skip that. One thing I can’t see any use for is Pectinase . That’s more for cider and wine where you need to breaking down plant material. Plenty of options. 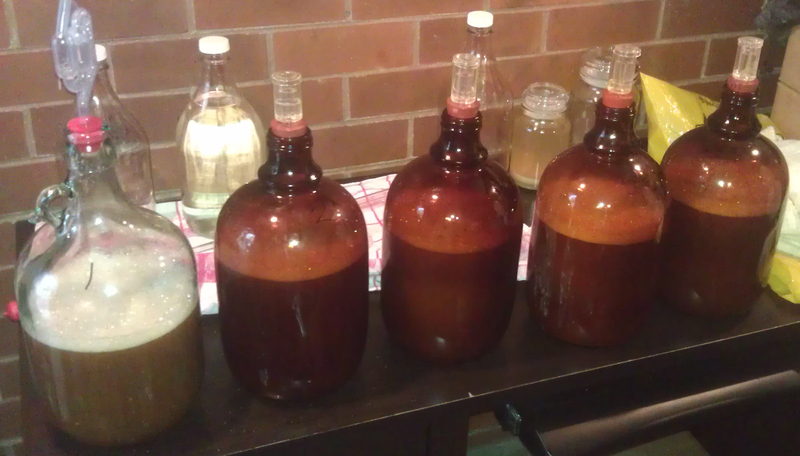 Plus, I’ve got eight carboys. Maybe I could test some with and without stuff. One could be a control with a beer I’ve made before (or as close as can be). Then make a second with Sodium metabisulfiteas the sanitiser. Then a third with Sodium metabisulfite, plus a campden tablet… you can see where I’m going with this. To summarise I’m thinking the following. Now, what to brew? Should it be the second attempt in the not-beers? Maybe another attempt at an IPA? Or should it be something completely new? What I needed to brew was something simple that worked out. The Pale Ale with just Vic Secret hops was ideal. As there was going to be a large volume of beer I decided to swap out the dry malt extract with liquid malt extract. It’s cheaper that way. Have decided to call this Pale Trial Ein, ‘cos it’s a pale ale and a trial. Ein is German for one as this will be the first of probably a few goes, and German is the language my Dad grew up with. Simple but long day. 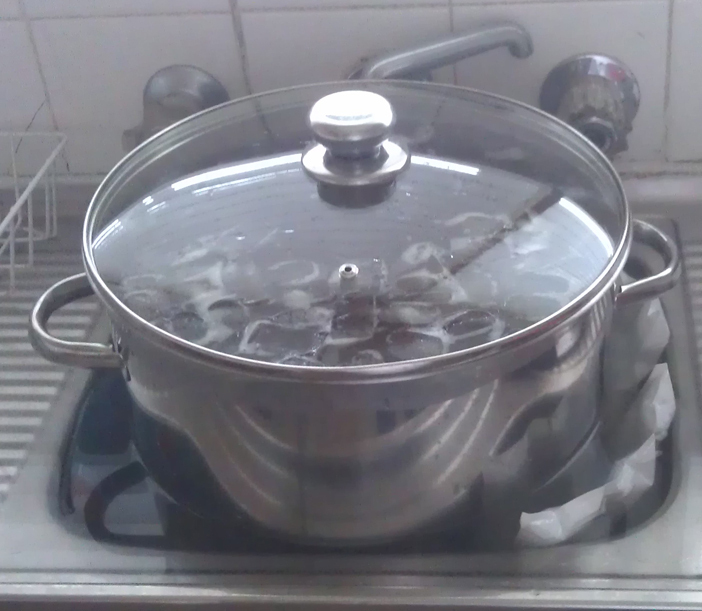 It took 30 mins to heat up water. And chilling took over an hour even after dumping in four trays of ice and a whole two litre ice block. Might be time to invest in a wort chiller if I continue these big batches. Worked out that there was about 17 litres of wort at the end. Didn’t top up the carboys. The original gravity reading came in at 1.055 which is pretty good. If the yeast brings that down to 1.014 then I’ll have 5.6% beers. But that’s all dependent on what happens in each carboy.